This time for Torokves I played in the Open whereas before I usually played in the RR. The atmosphere was more casual but I played like a lame duck, making mistake after mistake in many games until I lost in round 8 to bring me down to earth. I took a couple of zero point byes to play in another 6-round open sponsored by club, RAC and managed to win on tiebreaks but this tournament was a competitive failure. I’ll have to take a day or two to check over the round 8 game but in the mean time May will be an off month for some serious repair work. Palla won with a fantastic 8/9 and confirmed his arrival as an up and coming young star. Takacs won with a massive 8/9. 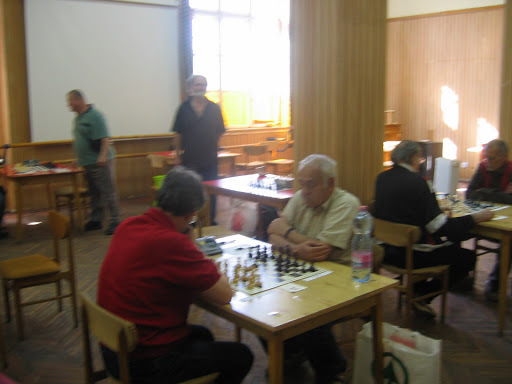 Mihaly,Z and Furedi,E also had strong tournaments with 6.5/9. Varga,A took first with 7.5/9. I limped by with 5/9 after taking two zero point byes to play in the Rakosmente Open. Zsatkovics had a strong tournament and beat the #1 and #2 seeded players. 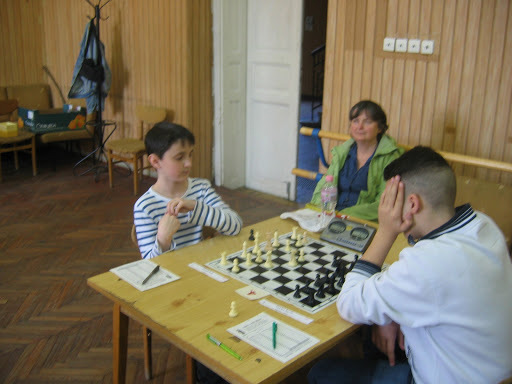 Posted on May 5, 2013, in Palla A, Torokves 2013-04. Bookmark the permalink. Leave a comment.